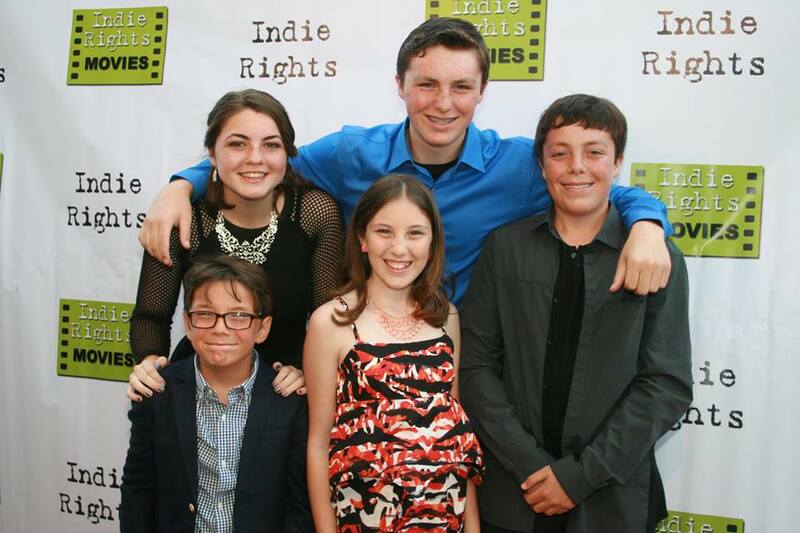 (L-R)HOLLYWOOD, CA – JUNE 14: Cast (L-R) Nick King, Sid Almohajer, Matthew King, Karalena Morehead, and Lillian Almohajer during the Premiere Of ‘The World Famous Kid Detective’ held at The Arena Theater on June 14, 2014 in Hollywood, California. 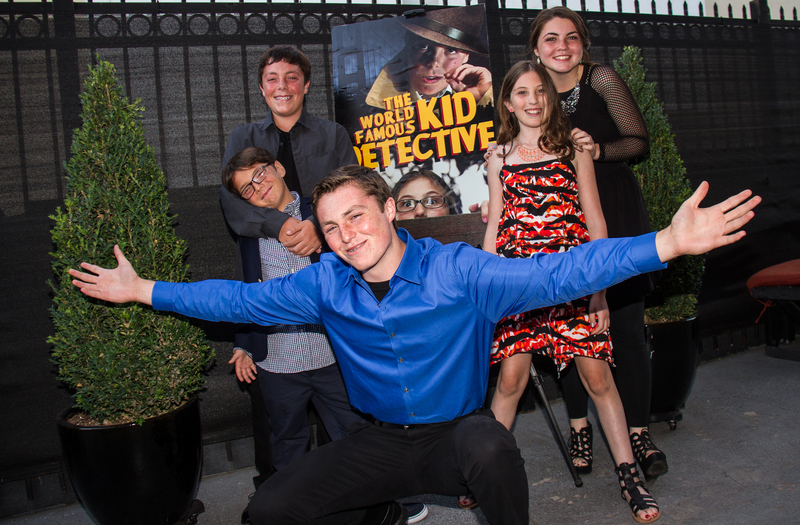 ‘The World Famous Kid Detective’ premiere and Q&A was held at the Arena Cinema in Hollywood, Ca, June 14, 2014. The red carpet premiere held an unbelievable showcase event. It certainly was a premiere to be involved with. Entertainment talents from across the board came to show their support for an ingenious showcase. Special guest attendees from Wonderland Avenue Elementary, Gardener Street Elementary, and Melrose Avenue Elementary came to show there support for this dynamic film as well. 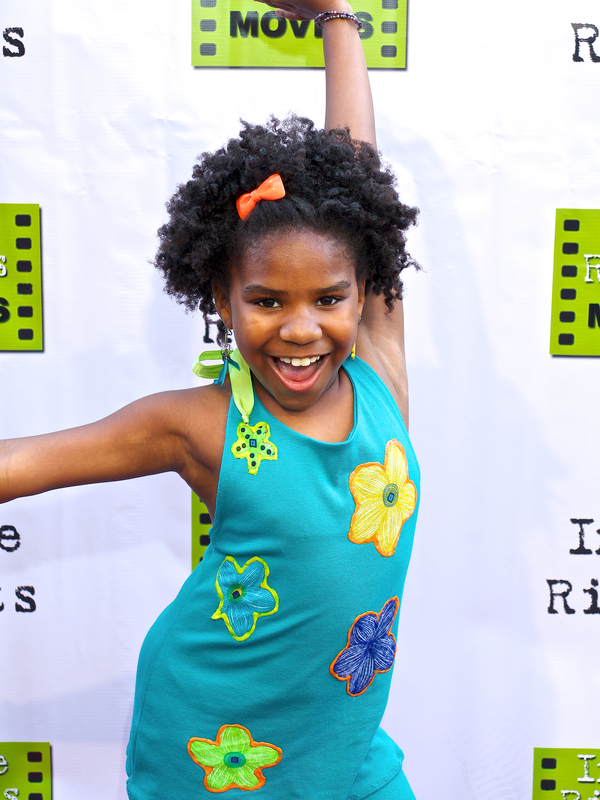 Trinitee Stokes (Fashion Designer/Reporter FTS News) is young and creative reporter who brought true energy through her interview with the.cast of ‘The World Famous Kid Detective.’ For such a young kid; she is driven, creative, sassy, and funny. This young lady is going to go very far in the entertainment industry for sure! ‘The World Famous Kid Detective’ is about a kid detective named Stanley Kid, owner of the world famous Kid Detective Agency. Actor: Nick King plays the character role of Stanley Kid. Stanley Kid is a daper, creative- mastermind, solving crimes in his neighborhood. While solving crimes, Stanley Kid has to deal with his annoying sister, Nina, played by Karalena Morehead. He finds himself emotionally in turmoil over his mothers illness, and juggling a heart felt fight to keep him and his sister out of the arms of the evil social worker, Clorissa Hodges. In efforts to solve crimes with ease and avoid the evil social worker, Stanley Kid uses his clever wit, and crafty persona to resolve the problems surrounding him. Shelly Baker plays the role of the sick mother, whom has been battling a reoccurring illness. The mother is repeatedly in and out of the hospital, which has affected Stanley and Nina Kid’s home situation. Addison Kid, who is played by Lillian Almohajer, is the cousin of Stanley Kid and Nina Kid. She is reluctant in helping Stanley at first, but makes a deal that will help them both out. Max Be Vu, who is played by Matthew King, is the looser friend of Addison Kid. He is a rude, free-loader, and has nothing going for himself. Timmy, who is played by Sid Almohajer, is Stanley Kid’s pesty neighbor friend looking to hang-out, but Stanley is too focused on solving crime sprees. (L-R)HOLLYWOOD, CA – JUNE 14: Cast (L-R) Lillian Almohajer, Matthew King, Nick King, Sid Almohajer and Karalena Morehead arrive for the Premiere Of ‘The World Famous Kid Detective’ held at The Arena Theater on June 14, 2014 in Hollywood, California. Writer: Margaret Lagendorf of ‘The World Famous Kid Detective’ is creatively brilliant with the dynamic story concept. Directors: Tim Kelly & Lelah Khadivi brings a creative visual spin to the film, including the Directors of Photography: Paul Kaulbach & Masako Kaulbach. Of course we can’t forget the crew members of ‘The Worlds Famous Kid Detective’ (Jo Mailand, Angel Sherdon, Meg Gallagher, Megan Koehler, Dunean Carroll, Tom Carrol, Seth Peterson, Shelly Peterson, Dula Baker, and Susan Maiorana). The production crew helped play a key role in films completion process and work behind the scene. ‘The World Famous Kid Detective’ is engrossly funny, action-filled, and engulf in adventure. The characters of the story bring a creative persona to the story line, which keeps you engaged while the cases are being solved. ‘The World Famous Kid Detective’ is definitely a film to enjoy with the family. Check out ‘The World Famous Kid Detective’ to see where the amazing adventure goes. The movie will keep you guessing, intrigued, and wrapped up in the story. This entry was posted on June 17, 2014 by bourgeoismagazinela in Bourgeois Magazine LA, Entertainment, Events, Film.